Nice idea for a game. Great report, thanks. Great report and photos. Who made the boats? 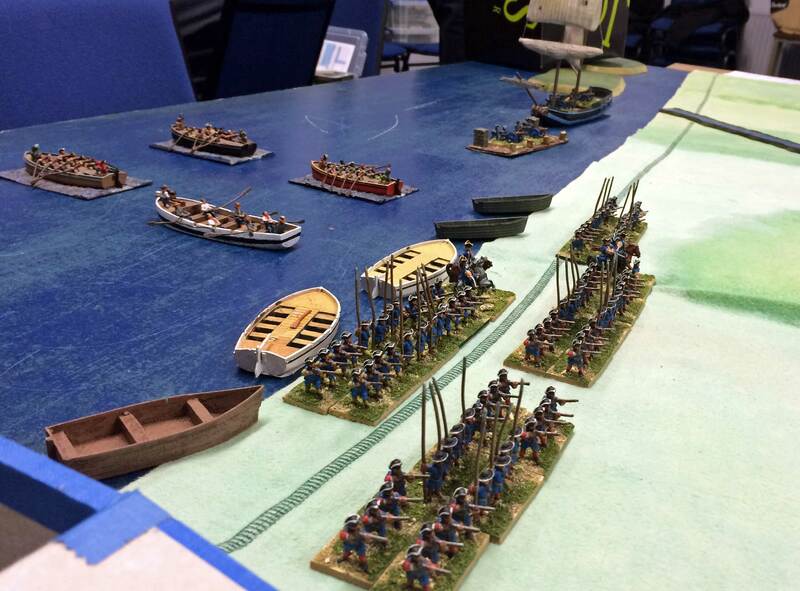 Did you allocate a regiment or part of a regiment to each boat? Did you allow fire on the boats as they came into land? no clue - not mine! No, it was absttacted out into waves. So each wave came on as a 'command'. All being in line of command. No, the infantry redoubts were too far away for infantry fire. The guns behind fell short about 6" into the beach head. The Swedish guns couldn't reach the redoubt either. The off table heavy artillery fell short by about half way, the guns on the pontoon could only reach about 3/4 the way up the beach. The pontooniers were driven off by dragoon fire though as they were a little too close to the beach.